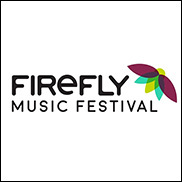 DOVER, Delaware (CelebrityAccess) — Chicago-based Red Frog Events, founder of the Firefly Music Festival, have sold their stake in the festival to their partner in the event, AEG Presents. According to the Delaware News Journal, the sale gives AEG Presents a majority interest in the popular festival. As well, Stephanie Mezzano, one of the festival’s founders who had been president of operations for Red Frog Events, has joined AEG Presents and will continue to oversee the festival in a director role.